Learn how to make Indian Chicken Tikka Masala without an oven at home. 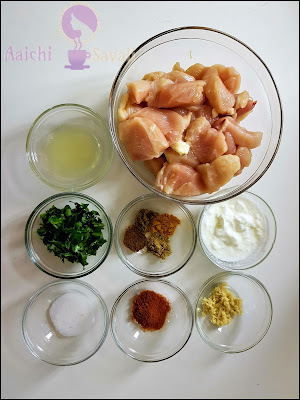 Sharing an easy recipe for Chicken Tikka Masala. This recipe is so simple, made on the stovetop and tastes just like take-out! Chicken marinated in yogurt and Indian spices and then served in a tomato, cream sauce. Ready in only 30 minutes. Serve with rice or warm Indian flatbread. If you prefer a spicier version of chicken tikka masala, add red chili powder ½ tbsp and cayenne pepper ½ tbsp. This recipe calls for a number of spices, but they all add to the deep flavors of the tikka masala. For the better taste, marinate the chicken for 5 to 6 hours, or even overnight. This gives the meat time to fully absorb the spices. Preparation Time: 10 Minutes; Cooking Time: 20 Minutes. Each Serving of Chicken Tikka Masala Contains 240 Cal. In a bowl take chicken pieces, add red chili powder, ginger-garlic paste, salt, yogurt, cumin powder, coriander powder, garam masala, and coriander leaves. Mix them nicely and keep aside for 1 hour. Heat a skillet over moderately high heat and add veg. Oil. and lower the heat if the chicken chars too quickly. Cooked for 5 to 6 minutes or the chicken is browned well on both sides. Transfer the grilled chicken into the bowl. In a pan add veg oil, once the oil gets hot, add chopped onions, chopped tomatoes, ginger-garlic paste, saute till onion is caramelized. Now add turmeric powder, cumin seeds, coriander seeds, garam masala, red chili powder, salt and saute them nicely. 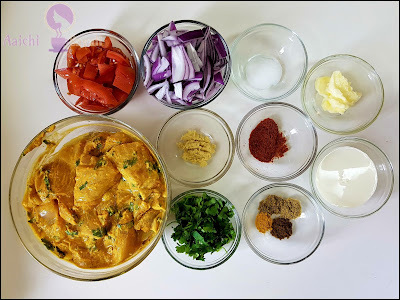 Pour the masala mixture into a blender or using an immersion blender process until smooth. Meanwhile, melt 2 tbsp butter in a pan over medium heat, pour the grinded masala, and add cream milk. Stir nicely and bring the gravy to a boil. Simmer on low heat until sauce thickens, then add grilled chicken, and again simmer for 10 minutes. Transfer to a serving platter, and garnish with fresh cilantro. Tadaa, tasty and tempting Indian Chicken Tikka Masala is ready to serve. 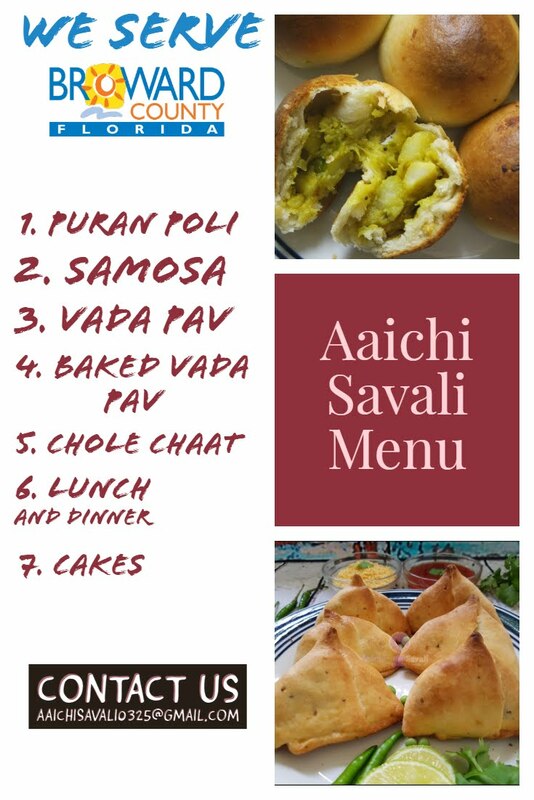 Serve hot with Roti / Naan / Chapati / Bhakri or Rice. Enjoy!!! Chicken tikka masala can be prepared ahead, cooled, uncovered, and refrigerated, covered, up to 2 to 3 days. If you prefer a spicier version of chicken tikka masala, add red chili powder ½ tbsp and cayenne pepper ½ tbsp. For the best flavor, marinate the chicken for 5 to 6 hours, or even overnight. This gives the meat time to fully absorb the spices. 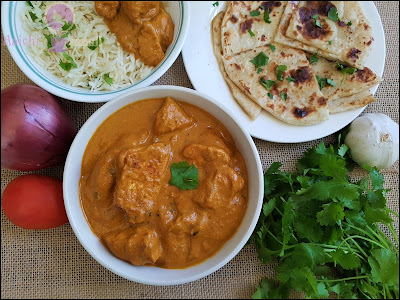 Chicken Tikka Masala: it is one of the low calorie, low fat, and high protein recipe. High Protein: Chicken is one of the highest protein suppliers. 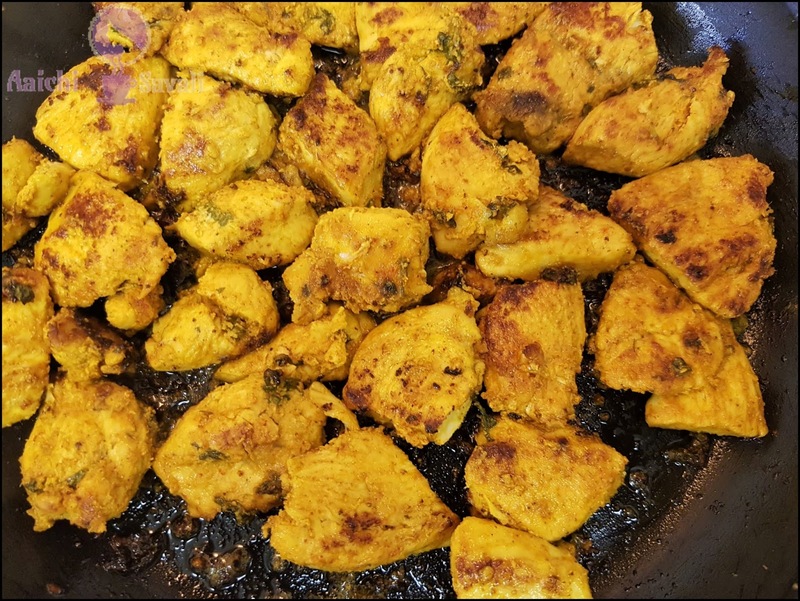 Weight loss: Diets with high levels of protein have been known to be effective in reducing weight and chicken has been one of the main contenders in weight loss, since it provides high protein content. Heart Health: Homocysteine is an amino acid that can cause cardiovascular disease if levels are high in the body, eating chicken breast suppresses and controls homocysteine levels. 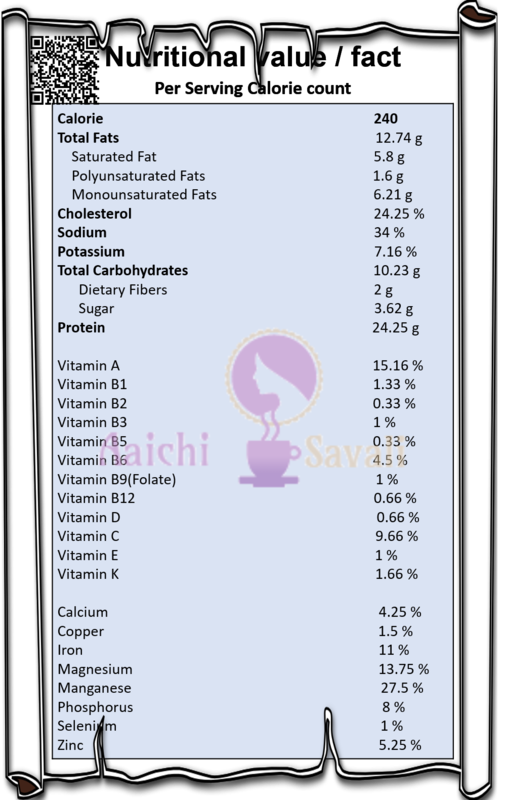 Bone and Teeth Health: chicken is also rich in phosphorus, an essential mineral that supports your teeth and bones, as well as kidney, liver, and central nervous system function. 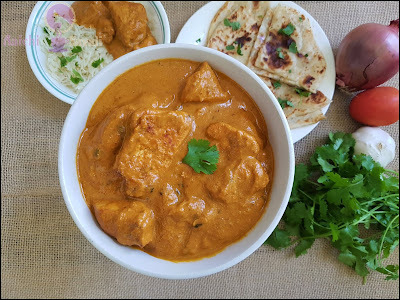 It's good to eat Chicken Tikka Masala for lunch, brunch or for dinner.